AFFIRMATION: I delight in the happiness that comes from within. It seems simple but is often hard to do because we’re sidetracked by the busyness of our daily lives. However, the happiness that we are seeking and that is sustainable comes from what our ancient African ancestors referred to as MAAT or balance which is achieved through the practice of things that bring harmony and personal growth. Examples would be: Meditation. Prayer. Solitude. Kindness. Forgiveness. Gratitude. Reciprocity. Truth. “Happiness does not depend on external factors; work to cultivate the kind of happiness that comes from within: Volunteer your time to help those less fortunate, practice forgiveness to calm your spirit, limit time spent on the Internet, and embrace an attitude of gratitude.” -Andrew Weil, MD, from the book Spontaneous Happiness. Identify what will center your life, then find time to actively and consistently do those things. Period. Sure, some practices will be challenging and uncomfortable to do; however, there is growth in being uncomfortable. Forgiveness, for example, (of yourself or otherwise) can take time depending on the circumstances, but the end result is you letting go of the past to make room for your life to grow (see the Forgiveness Diet exercise as a resource). So, do the awesome work that is required to create the happiness that can only manifest from within. Share in the comment section below how you practice cultivating happiness. 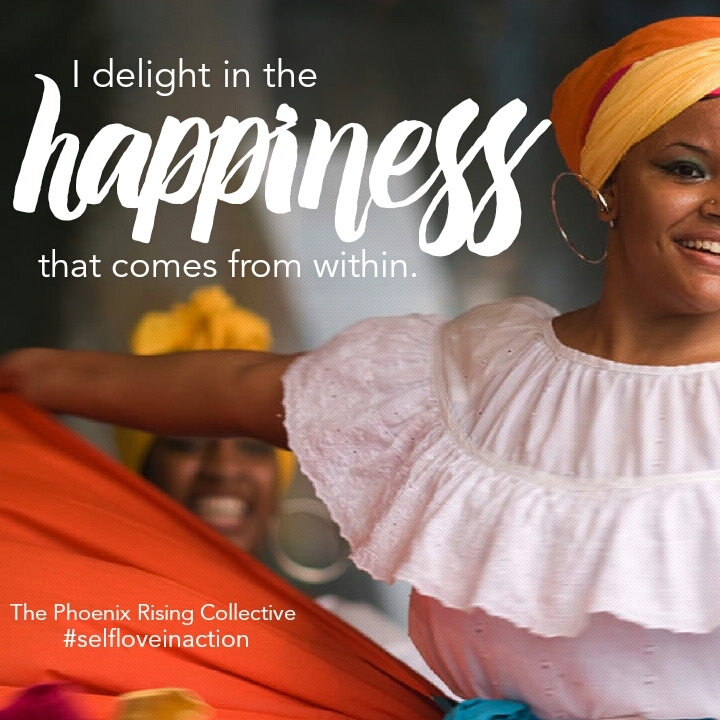 Categories: Self-Care + Personal Growth | Tags: Affirmations, Andrew Weil, balance, happiness, health and wellness, mindfulness, self-esteem, self-love, self-love tip of the day, spirituality, Spontaneous Happiness, the phoenix rising collective | Permalink. Yes, absolutely! Dedicating time to yourself and just to being happy within is so important! External things may make you happy for some time, but unless you’re truly happy from within, that external happiness will fade. Great post!